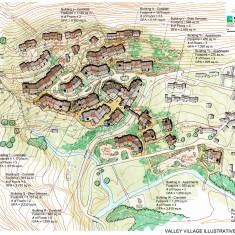 Porte Puymorens | Porte Puymorens | Ecosign Mountain Resort Planners Ltd. The Porté Puymorens Ski Area lies just before the northeast entrance to Andorra from France via Ax les Thermes. The Village of Porté Puymorens, with approximately 100 residents is a ten-minute drive from the ski village of Pas de la Casa and the pistes and lifts of the Grandvalira Ski Resort in Andorra, one of the largest ski areas in Europe. 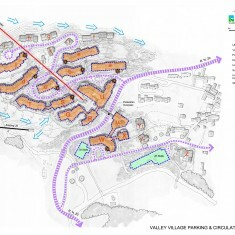 The Ski Area Master plan for Porté Puymorens includes future plans for a lift and ski trail connection with the Grandvalira Ski area in Andorra. 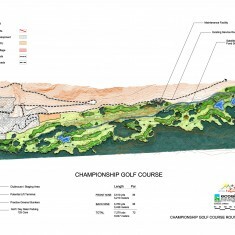 The Land Use Plan includes an 18-hole golf course along the Riu de Querol, with a new, 2,300 -bed resort development (Valley Village) on the lands west of the existing Porté Puymorens townsite. 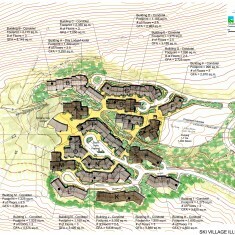 A second resort development area of 5,700 beds (the Ski Village) is proposed in the La Vignole area. The day skier parking will also be located in La Vignole and Col du Puymorens.